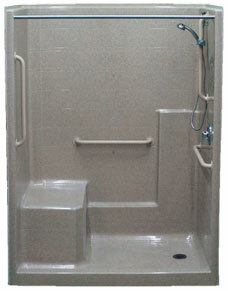 The shower package designed to compliment the stylish design of the LDR suite while ensuring patient safety. Added security - Have full confidence in self-support with the new grab bar slide guide. New grab bar slide guide Shown with tan Comfort Care™ textured bar with slide guide, featuring new code compliant hand held shower with pause control. Have full confidence in self-support with the new grab bar slide guide.